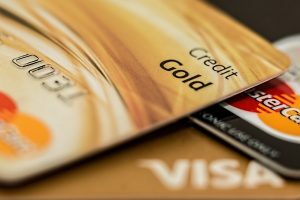 I’d be willing to bet you already know that carrying a huge balance on your credit card, and missing payments on it will negatively affect your credit score. That’s a no-brainer. We all know that. But do we all know everything that is damaging your credit score? Sadly, the answer is no, most Canadians don’t know every behaviour that is potentially damaging your credit. So, I’m going to go over most of them with you here, today, because building credit is a heck of a lot easier when you’re in the know. It happens to the best of us. Unfortunately, when we forget to make a payment on a bill, it can have a lasting impact on your credit score, especially when late payments become a trend. This includes credit cards, mortgages and loans, but it also includes bills like your cell phone, your water bill or that caterer you hired for a party last month. Every bill you get can potentially damage your credit score if you avoid paying it. If you’ve missed a payment on a bill, it can be sent to a third party collection agency and at that point, the collection service can report it to the credit bureaus. If you have a dispute with someone who is billing you for something, it is best to pay the bill and take the issue up with the Better Business Bureau or via the legal route, rather than just refusing to pay. You don’t want the situation to go from bad to worse when the amount due is sent to collections and your credit score suffers. Avoid this by using automatic payments where you can and reminders on your smartphone for every bill that needs to be paid. Remember that goofy book about the talking train your four year old borrowed from the library, made you read it no fewer than 400 times, and then lost it? You likely owe a fine for that, and you should pay it as soon as possible, because the library may have sent it to collections and it could be dragging down your credit score. Parking fines, traffic violation fines, and any other sort of fine you might receive all have the ability to come crashing down on your credit like an anvil. It’s best to pay them or use the recommended route to dispute them. If you neglect to pay an account in your name for a few months, it can be handed off to a collection agency. Not only will this agency harass you for the money, but this account in arrears will show up on your credit report and drag your credit score down to rock bottom. With one of these on your credit report, you are not likely to be approved for any credit. In Canada, you are entitled to one free credit report each year from each credit bureau. These checks don’t affect your credit score at all. However, if you’re signing up for multiple credit cards, loans or other credit products, and your credit is being checked by many lenders over the course of a year, you can suffer a drop in your credit rating. All that activity makes it look like you’re trying to amass a great deal of credit, perhaps more than you can handle, and it makes you a risk to lend to. If you’re applying for a mortgage, the credit bureaus will forgive multiple financial institutions looking into your credit rating for this purpose, as it is all considered one check for one product - they know you’re not going to take out mortgages with all the institutions you’re applying for. You will eventually choose just one. The best advice for this, is to stick to applying for one credit card, one loan and one mortgage in a calendar year and you should be fine. This is why it’s so important to make sure any automated payments coming out of a bank account you plan to close are switched to your new account. You can easily overlook one payment and it can send your old account into overdraft. If you’re no longer using that account, you might not be paying attention to it, and your overdraft can eventually be sent to collections. If you didn’t pay a mechanic or a general contractor for work they did on your car or home, there is a possibility there might be a lien on your property. You can also have a lien placed on your assets through legal judgments if you’ve been sued and lost. Liens on your home or on your car, or any other assets you have in your name, are going to affect your credit score negatively. In fact, some experts suggest it could affect your score as negatively as a bankruptcy on your credit report. Again, if you have a dispute with someone you’ve hired to fix your car or work on your home, pay your bill and go the legal route. You will suffer the most if you refuse to pay on principle. Usage percentage is the percent of your total credit that you have used. For example, if you have a credit card with a $10,000 limit and a line of credit with a $10,000 limit, your total credit is $20,000. If your total balance between the two is $15,000, your usage percentage is 75%. This would be a high usage percentage and will cause your credit score to drop. A good usage percentage is around 30% or lower - the lower it goes, the better your score. A higher debt-to-income ratio is going to have a negative effect on your credit score, so try to keep your debt-to-income ratio under 40%. The number one reason why you should take advantage of your one free credit report per year, is because a huge number of Canadians find themselves shocked to see items on their credit report they don’t recognize. You won’t know for sure that you’ve never been a victim of identity fraud unless you check your credit report each year. While your credit card company may alert you to strange usage on your card, the cable television company may not let you know when someone signs up for an account in your name. This happens more often than you think. If you find something that doesn’t make sense to you on your credit report, it’s imperative that you contact the company who reported it and clear it up as soon as possible. If you’ve found yourself in so much debt that it’s clearly insurmountable, you might file for bankruptcy or a consumer proposal. While it will help you get out from under all of that debt, the mark is going to stay on your credit report for years to come. That mark is going to make it near impossible to borrow money of any kind for at least a couple of years. These are the most common things that affect your credit score in a negative way in Canada. Knowing all of these things is half the battle. If you know what to avoid, you can stay on the right path, use your credit card wisely and build your credit faster.